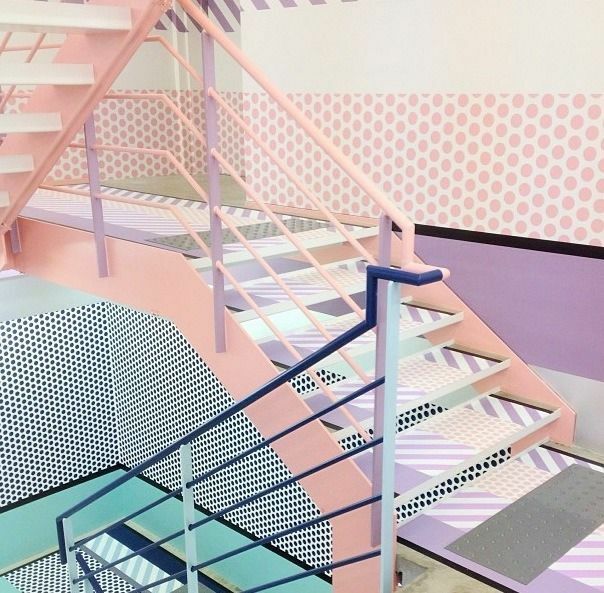 This is the second time we’ve seen this candy-colored staircase floating around the Tumblrsphere. We don’t know where this mysterious stairwell is located but please transport us there quickly, please and thank you. The dreamy pastels play well with the black and white; it’s reminiscent of the color scheme for an ice cream parlor or a 1980s mall. For more pastel inspiration, Formica (yep, the counter people!) posted this retro modern collage.